Netrunner on 32GB USB Drive | Linux DVD Shop - UK Linux Shop supplying Linux on CD, DVD and USB with Free UK Delivery, 24Hr Dispatch. 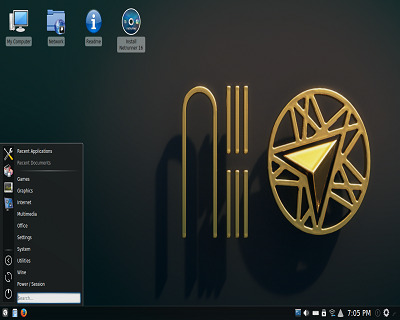 Netrunner is based on Kubuntu and features a highly customized Plasma KDE desktop. It is designed for everyday use for new users and also those with more Linux experience. The development team have built and enhanced the desktop to give a unique look and feel as well as a user-friendly environment whilst still allowing the option to tweak to your specifications.